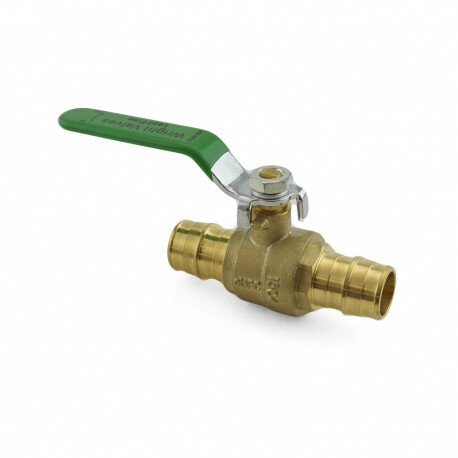 1/4-turn shut off ball valve for use with 3/4" PEX-A tubing. Compatible with Uponor (Wirsbo) hePEX and AquaPEX, Rehau RAUPEX, Mr PEX and other PEX-A tubing brands. Installed using regular expansion method (expander tool + expansion rings), including Uponor ProPEX system.